Ronni S. Jillions | Browdy and Neimark, P.L.L.C. Ms. Jillions has practiced in all areas of patent prosecution including medical imaging devices, neural networks, mathematical applications, memory devices, telecommunications, coding for data transmissions, semiconductors and their manufacture, appliance and robotic control systems, and other computer hardware, computer software, electrical and mechanical applications. Ms. Jillions also has extensive experience in preparing patentability and infringement/validity opinions, and in all aspects of patent litigation, from initiation of lawsuits, through document discovery and depositions, motions practice (discovery and dispositive motions), pre-trial preparation and trial practice. 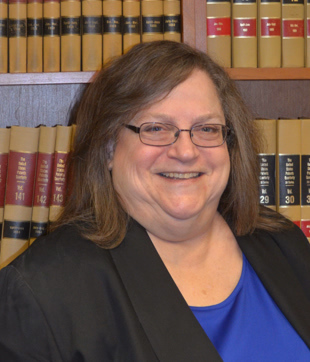 Ms. Jillions’ litigation practice included extensive work on damages case preparation, particularly in “reasonable royalty” cases. Prior to entering private practice, Ms. Jillions worked for two years as a patent examiner in the computer arts, in both hardware and software. Since joining Browdy and Neimark in 2004, Ms. Jillions has continued her practice in patent prosecution. She filed one of the first inter partes reexamination proceedings at the PTO. In the past several years, she has expanded her practice to included interference practice, trademark prosecution, and trademark proceedings before the Trademark Trial and Appeal Board.